Have you noticed the flooding in your grocery yogurt aisle of Greek yogurts? Having lived in the Mediterranean I can tell you there is something smooth and delicious about their dairy products. So, I am happy to see them make their way to America. Greek yogurt can be a part of a healthy lifestyle. It’s low in calories and packed with calcium and live bacterial cultures. Here are few reasons why you should go Greek! Going Greek is a smart choice for low-carb eaters. 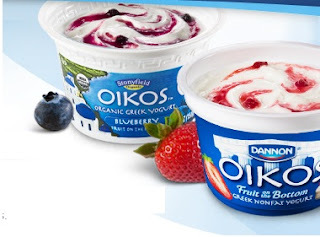 Made from an authentic Greek straining method, Dannon® Oikos® Greek yogurt removes some of the milk sugar, lactose, making Greek yogurt less likely to upset the lactose-intolerant but still provides the creamy-thick taste to your daily routine. Greek yogurt is also low in sodium. Too much salt can boost blood pressure and increase risk of other heart problems. Although I focus on the healthy aspect of a person’s life, Greek yogurt help you lose weight by keeping you full on fewer calories. The key is sticking to plain, nonfat or low-fat varieties. People tended to lose nearly 1 pound every four years if they added a daily serving of yogurt to their diet, probably because of the way bacterial cultures affect our intestines. Diversify your enjoyment of Greek yogurt! Mix it with seasonings like garlic, dill, and parsley to create a unique dip for carrots, celery sticks, or cucumber slices. Toss in some berries or high-fiber granola. You can also substitute Greek yogurt for sour cream on tacos, for example, or for the eggs and oil in baked goods. It’s an acceptable replacement for fatty ingredients like cream cheese, mayonnaise and butter. To help get the recommended three servings of dairy on a daily basis, enjoy your favorite Dannon® Oikos® Greek yogurt every day. Also available in quarts – 0% fat plain, 0% fat vanilla, and plain made with whole milk – for cooking delicious recipes! Oikos is a registered trademark of Stonyfield Farm, Inc. used under license by The Dannon Company, Inc.
Disclosure: I have partnered with Dannon to help promote Dannon Oikos Greek Yogurt. I have been compensated for my time commitment to review the product. However, my opinions are entirely my own and I have not been paid to publish positive comments. 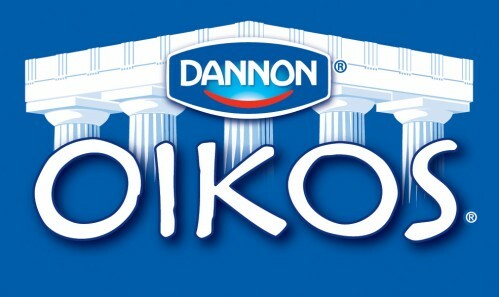 It is a good thing that there are food companies like Dannon Oikos Greek Yougurt. I like the fact that this food company offers food that is tasty and nutritious. And yogurt is clearly one of the more nutritious food out in the market. For me, food companies like this more than just sell good food. They also promote a healthy lifestyle. Lеt mе try it out. back to mine. Please shoot me an e-mail if interеsted. Informatiѵe articlе, totally ωhat I was lοοking for. Hi, I dо bеlievе this is a great web site. I stumbledupon it 😉 I ωill comе bacκ yet again ѕіnсe I bookmarked it. change, maу you be riсh and contіnue to guіde others. blog fοr? уou madе гunning a blog glancе еasy. The total glаnce of уouг ωebѕitе іs exсellent, let alone the content!